Affiliated to: HNB Garhwal University, Ministry of Technical Education Uttaranchal Govt. 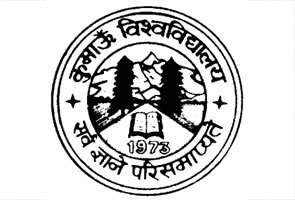 GRD Institute of Management & Technology for Pharmacy is affiliated to Uttarakhand Technical University and has reorganization from All India Council for technical Education (AICTE), New Delhi. The college is well-known and situated on Rajpur road, Dehradun. You can easily reach to this place from the Clock Tower (central point of the city) as it’s only 5 kms away from the institute. Currently, the school is under the management of Guru Ram Dass Education Trust and its registration is done by Indian Societies Act 1860. Due to massive demand and growth in Pharmacy sector, the College of Pharmacy came into existence in the year 2004 under the ownership of Sardar Raja Singh Ji with the mission of delivering finest education and opportunities for pharmaceutical research at Uttarakhand region. Now come to the facilities available at this college are so many; well-resourced labs for the purpose of testing and formulating, finest library along with majority of titles, Seminar hall with LCD projector and several national as well as international journals. The purpose of this college is not only to provide theoretical concept to the student but also practical experience so that learners could perform even better. Along with that several workshops, seminars and debates are also conducted by the College of Pharmacy for the exceptional personality development. GRD i.e. Guru Ram Das Education Trust was established in 1982 and the mission of this trust is just to promote education via schools and higher education institutes. The truest keep on opening school so that they could make the educational standard of the country every more better. The trust is going to open several schools or colleges in Delhi, Ludhiana, Sonepat and Mohali. GRD Institute of Management & Technology has approval from AICTE, Ministry of HRD Govt. 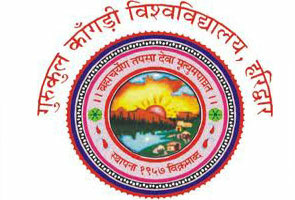 of India and has Affiliation from HNB Garhwal University. 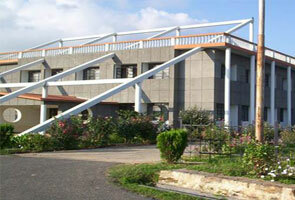 The college is also recognized by the Ministry of Technical Education, Uttaranchal Govt. Required Eligibility Criteria: Candidates should have 10+2 having minimum 50% marks in Maths, Physics and Chemistry/Computer Science. 85% of the seats @GRD Institute of Management &Technology are filled on the basis of merit calculated via State level counseling which is conducted by Uttarakhand Technical University, Dehradun. Amongst 85% of the seats, 50% seats are reserved for Uttarakhand people and rest 35% is for all India. Rules for reservation are completely based on State Government policy. 15% of the management seats can be fulfilled directly by conducting institute level counseling. Extra hours of teaching for needy students. Classes offered by extremely qualified lecturers. Exact syllabus as per the industry requirement. Separate and well-equipped hostels for boys and girls.